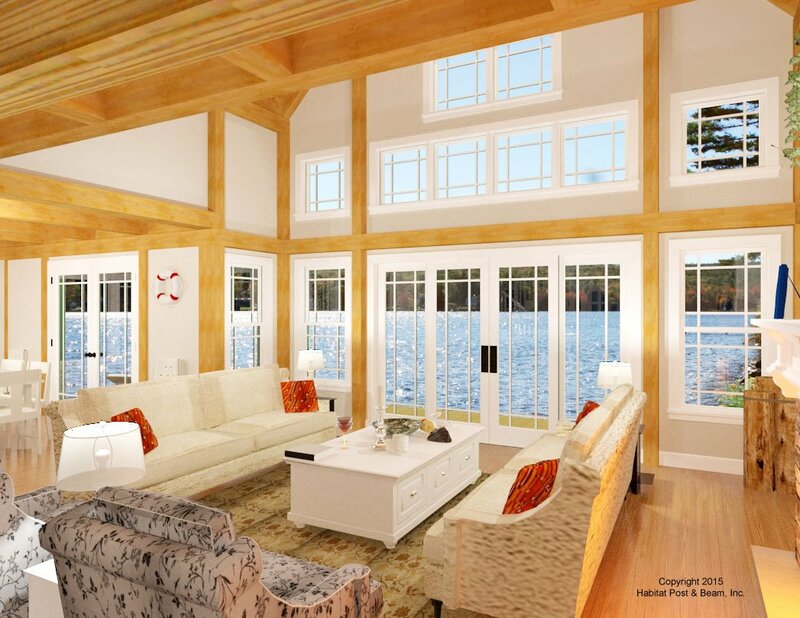 Based on our popular Lodge series (http://www.postandbeam.com/plans/filtered?type=houses&houseDesignGroup=lodgeHomes&keywordSearch=), this custom home will be built on the shore of Mashapaug Lake. The lower level is about 1240 sq. ft. and has a bedroom, half-bath, entry with seating area, and kitchen to the front of the house. Toward the back (view) side there is a dining room and den on either side, and a beamed cathedral ceiling central living area with patio doors leading out onto the deck toward the lake view. Upstairs is about 980 sq. ft., and houses the cathedral ceiling master bedroom suite on one side, and another cathedral ceiling bedroom with a bath on the other. The center section is a sitting area loft that looks down onto the living area below. 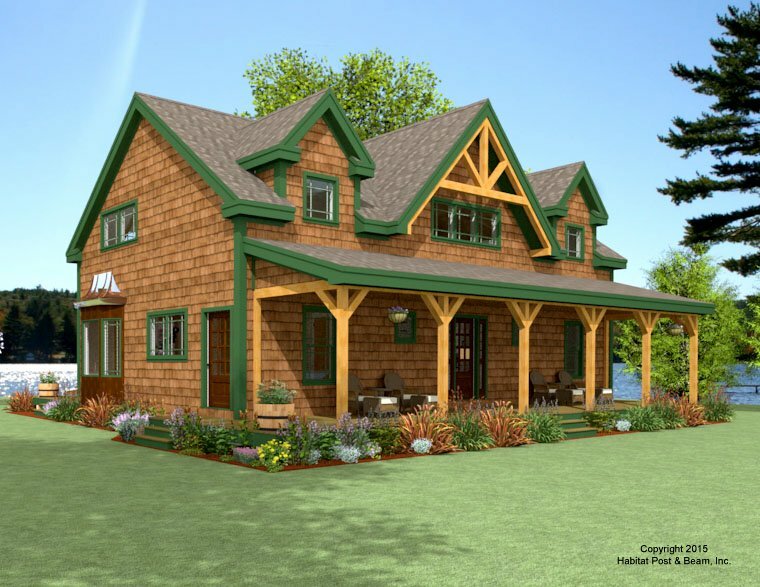 The home will sit on a crawlspace foundation with bulkhead access. Package Price: $211,000 as specified below (from $188,500 to $239,500 depending on framing options).